Watching Rick Mercer Report on the CBC a couple of weeks back, I saw that Rick got to do what any railfan or model railroader would love to do: he got to run a full size locomotive. (He happened to be at the rail museum in Squamish, BC, which I have visited and was impressed with.) Rick operated the former Canadian Pacific FP7 number 4069, built by General Motors Diesel Division in London, Ontario, painted in her old maroon and grey scheme. (I have that locomotive on my layout, in the action red paint scheme.) As is his custom, Rick acted like a little kid. Obviously, he had been schooled a bit, since starting and running a locomotive is a great deal more complicated than doing the same with a car. 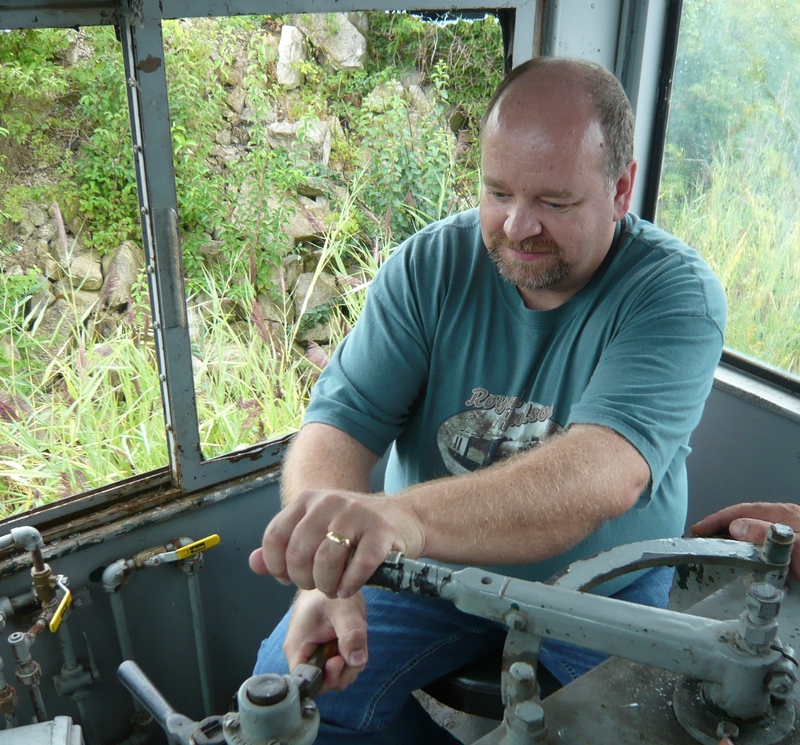 Operating a real locomotive made me a better model railroader, I think. (I have no idea what it did for Rick Mercer, except bring up his ratings among the railfan demographic.) Now, when I run trains, I don’t just turn on the layout power and start rolling at 50 scale miles per hour. No, I make sure there’s time for the brake pressure to increase, and start slowly so the slack in the couplers between the cars is taken up gently. Running a train, in any scale, is an art form, and I found that operating the real thing helped me operate the imitation better. So what? Good question. There is a sense in which the Christian life is intended to be a rehearsal for heaven; what we do in worship and service, seeking to bring God’s Kingdom on earth, all serves as preparation for our eternal destiny. There’s a lot we don’t know about heaven. The great cartoonist, Gary Larson, depicted it with a fellow, wearing wings, sitting on a cloud, saying, “Wish I’d brought a magazine.” Anybody who has read at least some parts of the Bible can say with assurance that Larson’s notion is not particularly accurate. However, what we do in worship – or, perhaps, what we should do in worship – does reflect a measure of the reality of heaven. And it will be a lot more exciting than operating a locomotive. If you know me, you know that it’s a big deal for me to say that! Engage in church life. Read the Scriptures. Get ready for the eternity in God’s presence whose price Jesus has paid. “For now we see only a reflection, as in a mirror; then we shall see face to face” (1 Corinthians 13.12a, NIV).